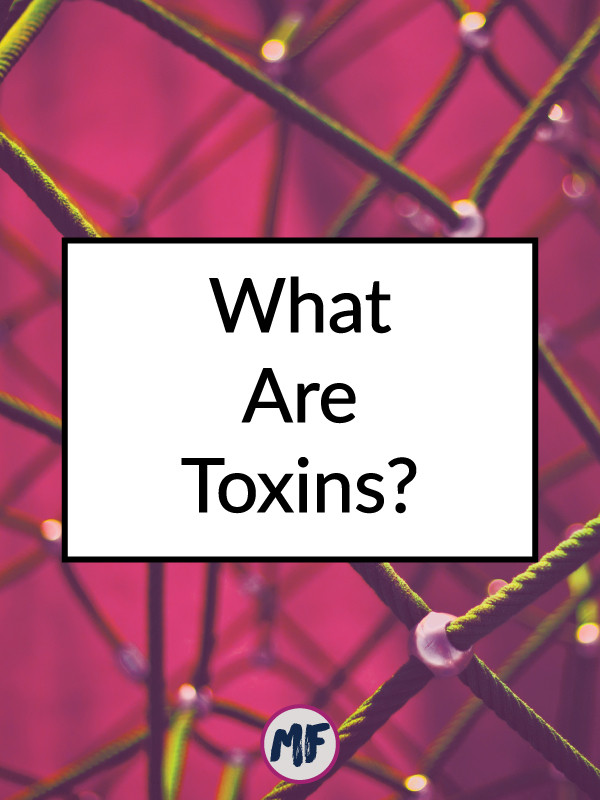 The word "toxin" gets thrown around all the time these days, but what exactly are toxins? Do you need to care about them? Do you need to do a detox? What kind of detox protocol is best? The good news is that I have answers to all of these questions. The bad news is that it might not be as straightforward as you were hoping it would be. "a poisonous substance that is a specific product of the metabolic activities of a living organism and is usually very unstable, notably toxic when introduced into the tissues, and typically capable of inducing antibody formation." In current practice, anything that has the potential to be toxic to humans is being referred to as a toxin. While this is technically incorrect according to the definition, what matters is that we all have the same understanding of what the word means in certain contexts. Many healthcare professionals would consider any substance that doesn't provide nourishment to cells or help cellular function to be a toxin. This unofficial definition means that something does not need to be directly harmful to be a toxin, it just needs to be unhelpful to the body. Toxins (as defined by the unofficial definition) are present in everything from our food to our surrounding environment. There is mercury in certain fish, preservatives in food, and heavy metals in cigarette smoke. It is important not to get caught up in trying to avoid ALL toxins because that is impossible. The good news is that your body has natural detoxification systems in place to help eliminate the toxic compounds you ingest or absorb through your skin. Maintaining a healthy lifestyle, exercising, eating a balanced diet, and avoiding excess alcohol is the best way to support these natural detoxification processes. How do toxins enter our bodies? Most toxins enter your body by ingestion, inhalation, or absorption. Examples are pesticides, flame retardants, heavy metals, chemicals found in cleaning products, chemicals used in food preservatives, and chemicals in cosmetics or other skincare products. Maintaining a healthy digestive system is one of the best ways to support the natural detoxification processes of your body. Poor diet over long periods of time compromises the function of both your gut (digestive system) and your liver, making it much harder for your body to eliminate harmful substances. Your body also produces toxins as waste products from metabolic activities. Unless you are in very poor health, your body is more than able to handle the elimination of these toxins. As mentioned previously, your body is equipped with natural processes to eliminate toxins. However, this does not mean that you should rely on this system to support your overall poor lifestyle choices. When I speak to patients about toxins and detox, I often describe what I call the "toxic load" on your body as a jar of water inside a paper bag. Each time you ingest food or apply a cosmetic that has a substance that is or can become toxic to your body, you are putting a drop of water into the jar. The problem is that you cannot see how full the jar is so you do not know when it will overflow. Your body's natural detoxification processes are constantly emptying bits of water out of the jar, but at some point, the jar will overflow and you will get sick. In order to make sure that your jar remains mostly empty, it is important to control the toxins you can. This means eating a well-balanced, whole foods diet (organic when you can), avoiding processed and junk foods, exercising regularly, and controlling the toxins within your home environment. The easiest toxins in your home environment that you can control include cleaning products, cosmetics, and skincare/beauty products. Read more about safer cleaning options HERE and safer skincare options HERE. I also have written a post about 5 Personal Care Ingredients to Avoid that you can read HERE. Other things that you can do to ensure that your body is able to handle the toxins you are exposed to are make sure you are drinking enough water and get plenty of sleep. These things help decrease your levels of inflammation which helps to protect you against chronic disease in addition to helping your natural detoxification systems. In most cases, the answer to this question is no. Juice cleanses, colonics, and "detox" diets are almost always a waste of money. In people who have a lot of inflammation (which usually manifests as a symptom such as fatigue, skin blemishes, itchy skin, digestive upset, etc.) a detoxification protocol may be in order. The program that I use with my patients involves some very targeted supplementation to help heal the gut along with a dietary protocol to help feed and support the good bacteria in your gut. This isn't as glamorous as a juice cleanse, but it works so much better! So, the bottom line is that toxins are dangerous when you are exposed to large amounts or have continuous exposure such as occurs with poor dietary choices. To protect yourself, be aware of the various toxic substances that may be negatively affecting your health. Skip processed foods, artificial sweeteners, and food additives. Be careful with your household cleaning products, be aware of air quality, and don't smoke. The most important thing you can do is maintain a balanced, whole foods diet, exercise regularly, and drink plenty of water to support the body's own detoxification processes. 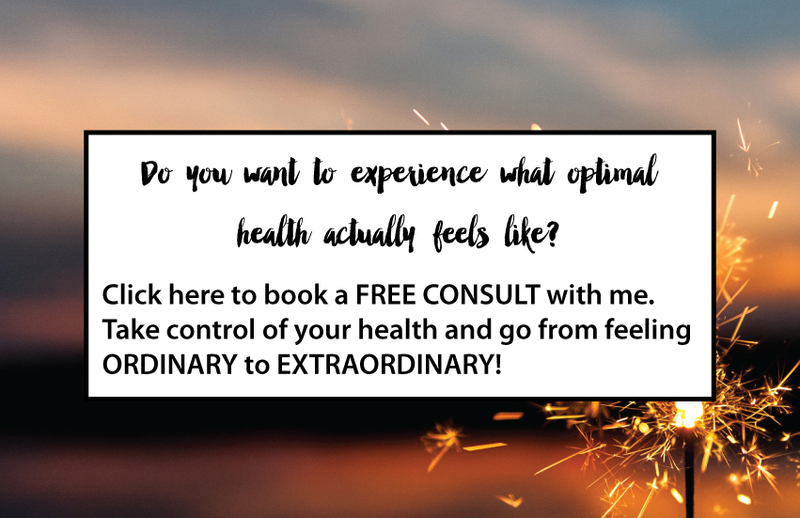 If you need help making some targeted lifestyle changes, or think you might benefit from a detoxification protocol, please schedule a FREE health consultation with me. We can make a plan that will help you to meet your goals and feel better fast!